One of the biggest news stories in MotoGP for 2019 is Jorge Lorenzo leaving Ducati after two years and joining the factory Repsol Honda team, replacing the now-retired Dani Pedrosa. The move comes as a bit of a shock for a few reasons, but it also pairs the three-time MotoGP World Champion with five-time – and reigning – champ, Marc Marquez. Lorenzo has been forbidden from speaking due to his contract with Ducati, but now that the new year is here Lorenzo’s Ducati obligations are now over, which means he’s free to talk. 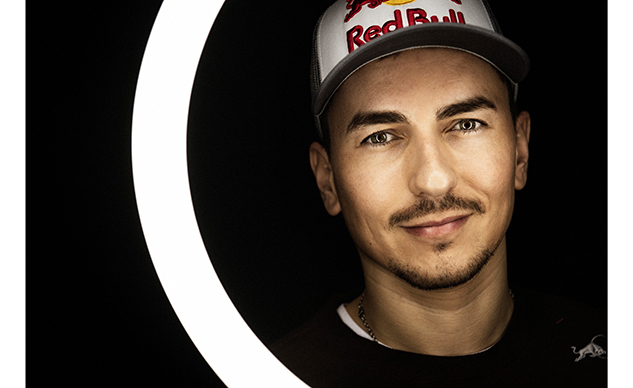 In this interview with Red Bull, Lorenzo’s new energy drink sponsor, he talks about what’s to come for the new year, how he thinks he’ll do, and what he’s excited about the most. You can see the interview in the video below. A transcript of the interview will follow if you missed something. How excited are you for the 2019 season? I am very excited as everything has changed again. Two years ago, I changed completely: the team, the bike, and the people surrounding me and working with me. And now I do it again! For one part it is more difficult, as when you stay on the same bike you get better and better and better as you know more secrets and get to the maximum more easily. For another part, you have the challenge and the excitement. I have this extra challenge and excitement the rest of the riders do not have. You lose for one part but you gain for another. What do you expect from the new Repsol Honda bike? It was all great at the Valencia test, the first time I jumped onto the Honda, and the second time in Jerez, everything was unbelievable in the team. The team is so big, so professional, everything is perfect and they took care of all the details. They paid me a lot of attention, they looked after me a lot, they brought me all that I ask for and that is very important. I feel loved by them and for the moment everything is like that. The feeling on the bike is fantastic right now. I think, obviously, I still need to improve my riding style on the bike, I still need to make the bike more in my style but the beginning has been great. How big is the desire to win a fourth World Championship? I do not know if I will be ready to fight for the world title from the first season at Honda. For sure, I am going to try to be the best prepared for the first race in Qatar [on 10 March] but it is not that simple, and even more now we have just three or four tests before the beginning of the season. You have to fight against Marc Márquez, who is a very good rider and it will be the sixth or seventh year on the same bike. It is very complicated, and not only him, I have to fight with Andrea Dovizioso, who is with his seventh year in Ducati, and Valentino Rossi, who has more than ten years with Yamaha. So, there are a lot of riders with a lot of experience with their own bikes that will be very difficult to beat. I do not know if I will be ready. How will it be, racing alongside Marc Márquez? If you speak about the numbers, it is clear we are one of the strongest couples in MotoGP history. Numbers don’t lie. For victories, for World Championships, for talent and for speed but for the moment it is obvious for me I have to go with a lot of humility, I need to be very humble and try to learn as much as possible from the people around me in the team and also form Marc as he has a lot of experience with this bike. What will success be for you in 2019? My life is a success overall and, in general, I am a lucky boy, a lucky person to be able to do what I love and to be able to have, until now, a very successful career with a lot of championships and a lot of victories. More than when I was a kid, I never expected to get so much as I do now. As I always say, after my first World Championship at MotoGP, everything that comes after is extra like a present. Obviously, I will try to get the maximum, and the maximum is to win but for sure it is going to be very complicated and for now I am not he favourite for the championship of course. But everything is possible in MotoGP.